Rina Demey Promotion applies to all one way or roundtrips with travel dates before 31/05/2017 included. 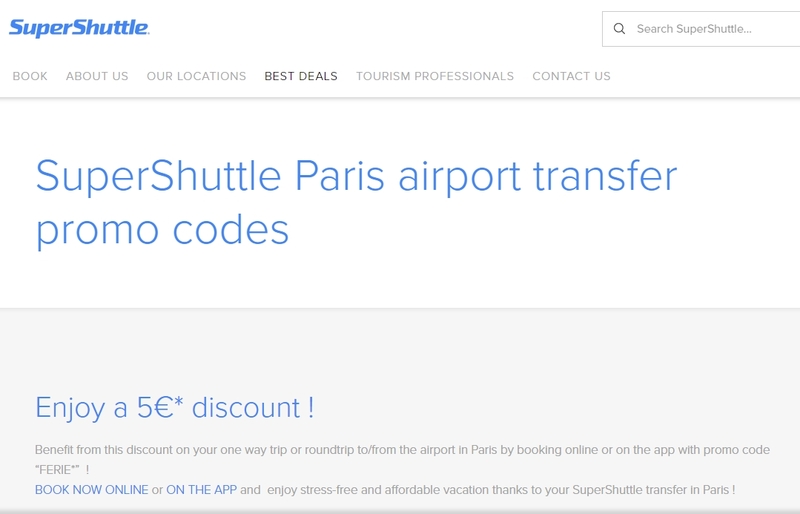 Applies to shared and private transfers from/to CDG, ORY and BVA excluding SuperShuttle private car and GVA transfers | cannot be combined with other promotions. Only available on the app and online. **Promotion applies to all roundtrips with booking dates before 31/05/2017 and travel dates before 01/05/2017. Applies to shared transfers from/to CDG, excluding SuperShuttle private car, ORY, BVA and GVA transfers | cannot be combined with other promotions.